Preheat the iron before getting to work. Heat the iron to 500 to 1,200 degrees Fahrenheit. This will prep the iron. However, preheating is just one option. You can also cool it before welding. When you preheat, the cooling rate of your weld and its surrounding will be slow. When you preheat, be sure to not go beyond 1,400 degrees Fahrenheit. Do this step slowly and carefully. Start welding! Using a low current, begin welding. A low current will reduce residual stresses. Sometimes, it’s even recommended to limit the welds to small, about an inch long, sections to keep residual stresses from building up. They can cause cracks after all. Let it cool. Give the iron some time to cool off. It’ll be a slow process, but it’s essential. For this step, you can bury the cast it dry sand or wrap it with an insulating blanket to allow it cool faster. Doing this will also prevent the cast from cracking. Don’t let the nearby iron get cold. The surrounding iron should be cool but never cold. If it gets cold, let the machine run to increase its temperature. Ensure that your repair patch is cool. It should be sufficiently cool to touch with your bare hands. One way to ruin your weld is to use hot patches. Another way is to use cold ones which will take much time to heat up to the desire welding temperature. To be sure, check the best temperature for the project you’re doing. Use the correct iron formula for your task. Start repairing. If there are any cracks or rips, begin the repairing procedure by fastening a cast part which works as a patch between the solid parts of the cast iron. Weld the patches. Using short welds, approximately an inch long each, and weld the patches. 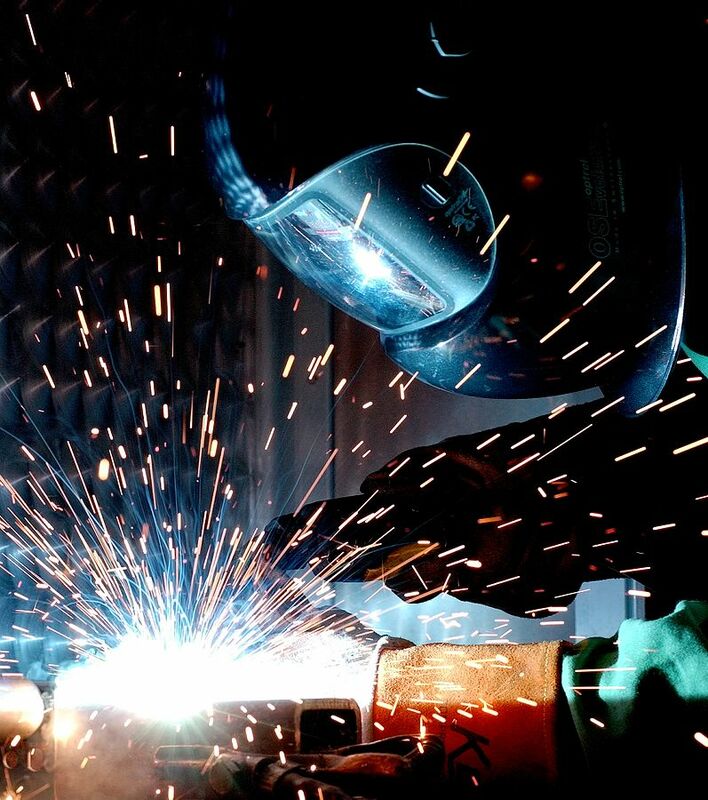 Using short welds will prevent the surrounding metal from overheating while you’re doing your job. Use the studding method. This is helpful in reinforcing large cracks. For this method, you need to drill holes into the surface of the cast iron, screw the patch in position, and weld the screws. If you see tiny cracks or rips in the iron after welding, don’t panic. That’s a typical sight. It’s almost impossible to avoid when you’re welding cast iron. Don’t worry, you can always fill those small cracks using a watertight sealing compound.